We got recruiting right. See for yourself. Resumes are parsed, formatted, and added to your candidate database immediately. Users can access candidate resumes online and make changes quickly. Recruiting based on client needs has never been easier. Your custom responsive careers page and application allows candidates and customers easy access to information and creates a level of professionalism expected in today’s marketplace. We’ve taken the redundant administrative work out of recruiting. There’s no need to keep doing things the hard way. Sign up for our free online applicant tracking system and see for yourself. Post and publish your jobs to numerous job sites including Indeed, ZipRecruiter, Google, LinkedIn, and a growing list of other job boards. Design a workflow specific to your organization’s recruiting process. Standardize and track the different stages a candidate is taken through during recruitment. Manage as many candidates and resumes as you wish. Enjoy online applicant tracking and candidate management from anywhere you are. Create custom email templates based on your branding preferences and clients’ needs. Email candidates directly from within Recruiteze, in bulk or individually. You don’t have to leave the system to get critical communications out in a timely manner. Associate clients and their hiring managers to candidates with ease and built-in tracking. Add notes to clients, hiring managers, and candidates so that you remember the important details. Tailor candidate management and the recruiting process to your business practices. Upload resumes in bulk to your online resume database. Use our bulk upload service regardless of whether you have 100 or 1000+ resumes. It’s quick and easy. Save time, ensure quality, and focus on the job at hand, not document management. Parsed resumes can be searched accurately by a variety of parameters. Modern responsive interfaces that format to any screen size or device. Create a custom job code format unique to your company. You may choose to create a job code that extends your existing job code series or starts a new series altogether. Is your small business or recruiting agency high volume? Never fear. Post as many openings as you need. There’s no limit on the number of postings you store in your database. Create a custom Careers Page easily and plug it into an existing website using our widget. All active job openings are displayed immediately. This feature allows job seekers to apply online via your Careers Page. Applications are added to your database and routed to the recruiter and/or hiring manager. Each candidate is uniquely identified by their email address. So next time they apply their applications are automatically merged under the candidate’s main record. Our reporting dashboard includes activity summaries and detailed reports by day, week, month, and year for a variety of metrics important to your business. Users have the option to set how time displays based on where they work. Your staff will never have to “calculate” when something actually happened. Email SupportNon-priority, during business hours. Our product is one of the top applicant tracking and recruitment management services available. Our applicant tracking system is a cloud-based service so you never have to worry with things like downtime or maintenance. You do what you do best, and we’ll do the rest. A lot of companies still manage candidates using spreadsheets and store resumes using a local hard drive which is prone to data loss. If this describes your company, you should seriously consider an online recruiting and resume management system. High quality recruiting and resume management systems parse all your resumes while indexing and building a resume database. Our online recruiting and resume management system makes posting jobs, searching candidates, and filling positions easy. You may tag the candidates with notes and view contact history in a single view. Having easy access to historical communications with candidates and potential employers adds a level of professionalism to your recruitment process that’s hard to beat. What does your applicant tracking system do? Traditional recruiting software was typically installed on a local server or desktop. Recruiteze is a cloud-based service that keeps you from having to manage and maintain a local applicant tracking system. Our paid version and free online applicant tracking and recruitment system gives you the ability to manage candidates and clients all in one place. Candidates may apply online. Resumes are uploaded, parsed, and added to your database. A custom Careers Page is available so that you can have your very own professionally designed job board. And clients will get a level of communication and professionalism usually reserved for the largest and most sophisticated staffing agencies and corporations. What is the Careers Page? The Careers Page is a public view of your job postings. It can be seen by anyone including: customers, investors, candidates, and press. A professional, modern Careers Page is very important in attracting qualified candidates and quality clients. Is the Free Plan really free? Yes, it is absolutely free forever and does not require a credit card. Will you provide training and demos for us? We will provide screen share training and demos upon request. Please send an email to support@recruiteze.com to request a demo or to schedule a training session. How do you ensure Data Security? All your data is stored on Azure Cloud, which has 3 levels of redundancy. The database is backed up to the latest 5-minute period. Check out this article on data security to see how your data is secured. Who may I contact for questions? Please send an email to support. We will reply within 24 hours. If the question cannot be resolved by email, we will call you and resolve the issue promptly. The Free Trial gives you unlimited access to all paid features for the first 15 days. 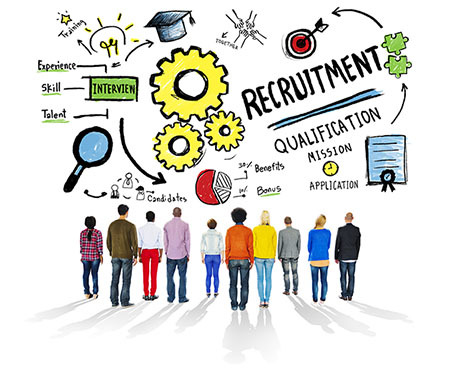 During this the Trial Period, you get a chance to fully explore all features and functions of the Recruiteze recruitment system. No credit card is required for the unlimited Free Trial. Just sign up and start using Recruiteze. What happens after the free trial is over? At the end of the Free Trial, you may subscribe to a paid subscription through the billing page. All Free Trial usage is completely free and will not be a consideration in determining which paid subscriptions you’re able to sign up for. You may also choose to downgrade to the Free Plan by clicking on the downgrade button at any time after purchase. Yes. If you’re unhappy with the product or service, you may downgrade to the Free Plan at anytime. You do not have to contact us to downgrade, and you will not be charged for the following months. We request you to let us know what went wrong, so we may improve our products and services to better meet your needs. We accept Visa, Mastercard, American Express and Discover. We do not provide phone support unless the issue cannot be resolved by email. We have excellent email support with a maximum 24-hour turnaround. Is there a setup fee? No, there is no setup fee for most users. If you need specific assistance, we may charge a nominal fee for it. Is there any contract associated with the service? No. There is no contract and you can upgrade or downgrade at anytime with the click of a button. Can I change my plan at anytime? You may change your plan by visiting the billing page and selecting the plan that best suits your needs. Downgrading to the Free Plan is easy. You just have to click on the downgrade button to do so. No need to contact anyone. The action is effective from the following month forward. We do not have a cancel option, and will retain your data for you in case you decide to use the system again in the future. Are there any additional costs/fees? No, there are absolutely no additional costs other than the Monthly Subscription Charge and is strictly based on the number of users you need. What about adding and removing users? Adding or removing users is something you do yourself. You may add or remove users anytime. When a user is added, you will be charged a prorated fee based on the next billing date. When a user is removed, a prorated credit is given right away. No need to call anyone, it is totally under your control. And there’s no need to pay for services you do not use.